Color is a sensation generated both by the interaction of the visual sensors in the eyes with the natural environment and by the elaboration of visual information by higher brain functions. 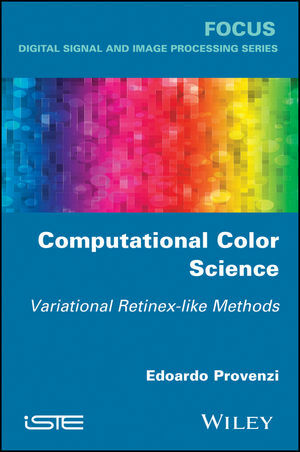 This book presents the mathematical framework needed to deal with several models of color processing of digital images. The book starts with a short yet exhaustive introduction to the basic phenomenological features of color vision, which are constantly used throughout the book. The discussion of computational issues starts with color constancy, which is dealt with in a rigorous and self-contained mathematical setting. Then, the original Retinex model and its numerous variants are introduced and analyzed with direct discrete equations. The remainder of the book is dedicated to the variational analysis of Retinex-like models, contextualizing their action with respect to contrast enhancement. Edoardo Provenzi, Paris Descartes University, France.